10 For the law having a shadow of good things to come, and not the very image of the things, can never with those sacrifices which they offered year by year continually make the comers thereunto perfect. A special ceremony was held in the Cardo in Jerusalem on Thursday, March 10th. It was the beginning of the month of Adar, or, to be precise, the second day of Rosh Chodesh Adar Bet. In temple Times, the new month was considered a minor holiday and the ceremony, a reenactment of the Temple service, gloriously illustrated that. On the day of the new month, special sacrifices were brought to the Temple: two oxen, a ram, seven lambs, wine libations, flour, and oil (Numbers 28:11-15). 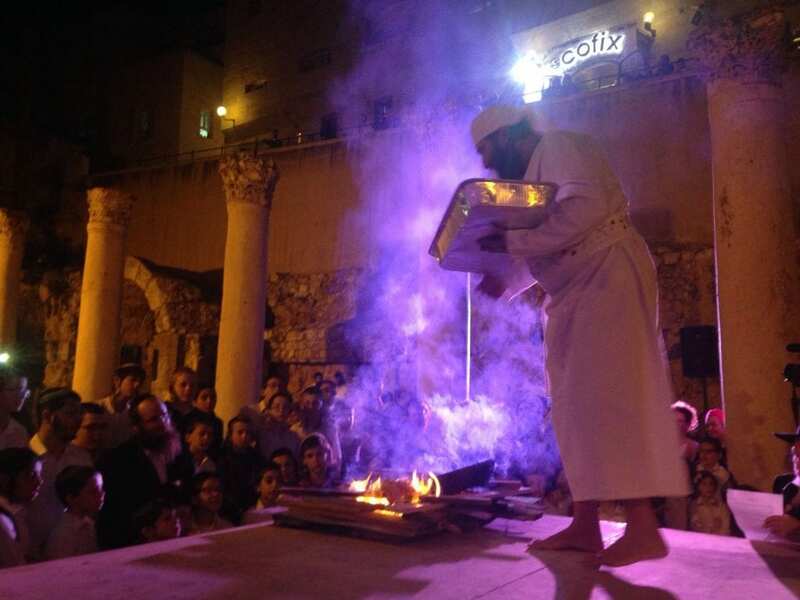 This is identical to the sacrifices offered on Passover and Shavuot, indicating the holy aspect of the new month. Special trumpet blasts were also added in celebration. 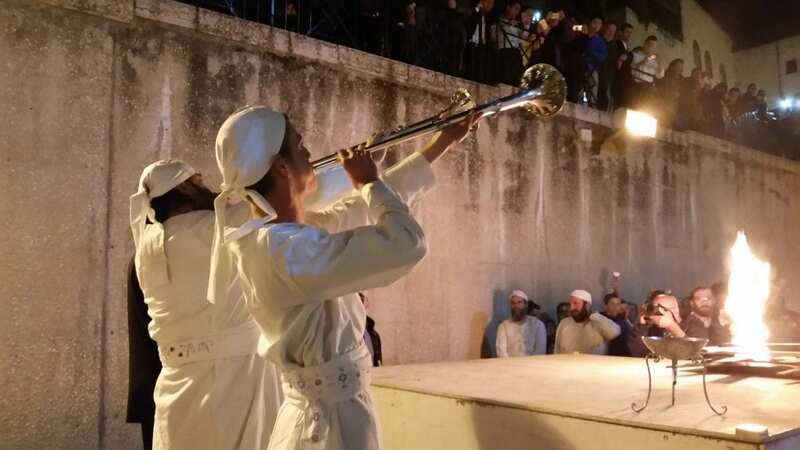 To commemorate the special nature of the day, the Temple Institute, in conjunction with the Sanhedrin and other Temple organizations, held a reenactment of the service as it would have been performed in the Temple. The ceremony was intended to be educational for the spectators and a dry-run for the priests who participated. The priests, students of the Temple Institute’s Nezer HaKodesh Academy for Kohanim, wore authentic garments made to Biblical specifications, and performed the Kohanic blessing. Musicians played instruments suited for use in the Temple provided by the Temple Institute, accompanied by a choir. Though no animals were actually slaughtered, the organs and special fats were displayed and explained. There was also a demonstration of how blood is sprinkled on the altar. 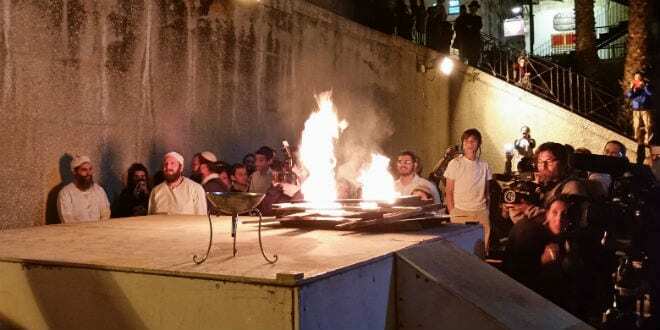 A mincha offering of semolina was burned on the altar, a precise scale model, approximately one meter tall and two-and-a-half meters square. In addition to the demonstration of the sacrifices, three members of the Sanhedrin accepted the testimony of two witnesses for the Torah commandment of declaring the new month. Rabbi Yisrael Ariel, the founder and head of the Temple Institute, also gave a lesson about the Biblical commandment of the Machatzit HaShekel (Exodus 30:11-16) , the half shekel-weight of silver, given to the Temple every year by Jewish men in this month. Rabbi Ariel explained that the half-shekel was used to purchase the daily sacrifices offered for all of Israel. Events like this help prepare for the actual Temple. 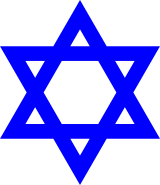 Not only does it raise public awareness, it also helps instruct Kohanim, Jews of the priestly class. Joshua Wander, a resident of the Mount of Olives who has attended several of the Temple Institute’s events, noted that it also helps fix lapses in practical knowledge. 34 But one of the soldiers with a spear pierced his side, and forthwith came there out blood and water. 35 And he that saw it bare record, and his record is true: and he knoweth that he saith true, that ye might believe. 36 For these things were done, that the scripture should be fulfilled, A bone of him shall not be broken. 37 And again another scripture saith, They shall look on him whom they pierced. Jesus is Christ the LAMB of God, unblemished The only sacrifice made to atone man to the Creator, Can you hear O Jerusalem ? NO MAN HATH SEEN GOD AT ANY TIME; THE ONLY BEGOTTEN SON, WHO IS IN THE BOSOM OF THE FATHER, HE HATH DECLARED HIM. FOR THERE IS ONE GOD, AND ONE MEDIATOR BETWEEN GOD AND MAN: THE MAN CHRIST JESUS ! ! ! BUT THE WRATH OF GOD ALMIGHTY ABIDETH ON HIM ! ! ! REPENT YE THEREFORE AND BE CONVERTED (BE BORN-AGAIN SPIRITUALLY), THAT YOUR SINS MAY BE BLOTTED OUT; WHEN THE TIMES OF REFRESHING SHALL COME FROM THE PRESENCE OF THE LORD: AND HE WILL SEND UNTO YOU JESUS (CHRIST THE MESSIAH OF ISRAEL). . .
SHEMA O’YISRAEL ADONAI ELOHENU, ADONAI ECHOD–HEAR O ISRAEL THE LORD (JESUS CHRIST OF NAZARETH IN ISRAEL) OUR GOD: THE LORD (JESUS CHRIST OF NAZARETH IN ISRAEL) OUR GOD IS +++ONE LORD+++ JESUS CHRIST OF NAZARETH IN ISRAEL ! ! ! ! ! ! ! Dunno Tony, sure sounds like a bunch of Jew fables to me with all yiddishe mumbo jumbo….perhaps a Judaiser? Lighten up on all the shouting bold..we got yer drift Tony. amen….. Question is, who do you say that he is?